One can watch the match on FuboTV (Free Trial), FSSW-DAL,FSD and NBA League Pass. On the radio one can listen to 97.1 FM the Ticket. The Detroit Pistons will make an attempt to avoid a third straight loss on Thursday while welcoming the visiting Dallas Mavericks. A victory over the New Orleans Pelicans is all that separates a pair of consecutive losses for the Pistons. They have lost many matches to the Mavericks and Milwaukee Bucks. Mavericks have lost five out of eight matches. The deficiency of contribution from the bench combined with lack-lustre offensive efforts from Glenn Robinson III and Langston Galloway was a big disappointment. But Robinson deserves a pass since he hasn’t played much this season. It isn’t an easy work coming in cold against one of the best teams in basketball. Outside of Luke Kennard, the bench was pretty much non-existent for the Pistons in the 115-105 loss. Guard Reggie Jackson led the team with 25 points, there rebounds and five assists. Forward Blake Griffin dropped 18 points, seven rebounds and nine assists, while center Andre Drummond finished the game with 20 points, 13 rebounds, four assists and 2 steals. The gifted matchup against the Knicks comes sooner for the Mavericks after their recent run of bad luck. The legendary forward turned back the clock by going 5-of-7 from the floor and 2-of-3 from 3-pointer for 14 points. They looked anywhere near the same team when they been on their home court. That clearly wasn’t the case on Wednesday night as they shot 53.6 percent from the floor and out rebounded the Knicks 49-34. 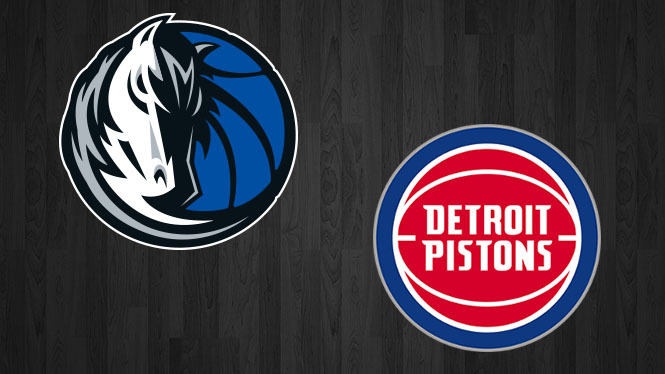 The Pistons put up a tremendous war against the Mavericks last Friday night in Dallas but they ultimately failed in the end due to some clutch moment plays by Doncic and Mavericks forward Maximilian Kleber. Now it is to look forward who will take back the trophy home. Previous articlePremier League Standings 2019: Liverpool is leading the points table with Man City and Tottenham following them.